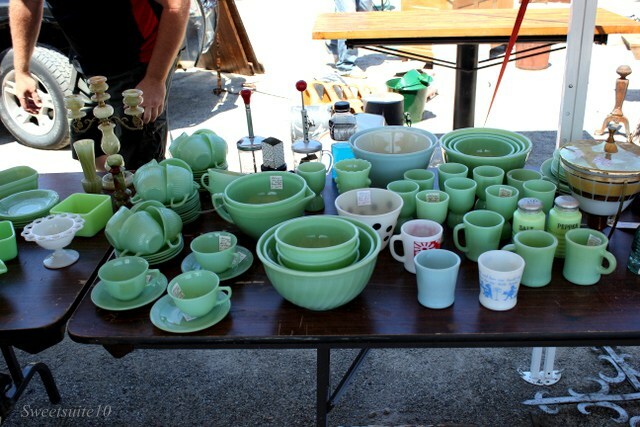 This past Sunday (which happened to be Canada Day) D and I did something a little different - we went to an antique market. While it's true we did go to the Christie Antique show last year, antiquing is by no means something we do on a regular basis - this was only our second such adventure, and this time we went to the Aberfoyle antique market. The Aberfoyle antique market takes place every Sunday from the end of April, to the end of October and the vendors all seem to have regular booths. I have to say that it was a lot bigger than I expected, so we were there for several hours. Once we arrived we went our separate ways - D went off to take great pictures of all the neat things, and I went off to shop. One of us was successful - it wasn't me :( Oh - there were piles of things I wanted to take home with me, but I live in a one bedroom condo with minimal storage - the things I bring into my home have to be useful now - I can't put them away in a garage or basement for that day when 'I'll find the perfect spot' for it. If I had a basement there would have been a few things coming home with me. 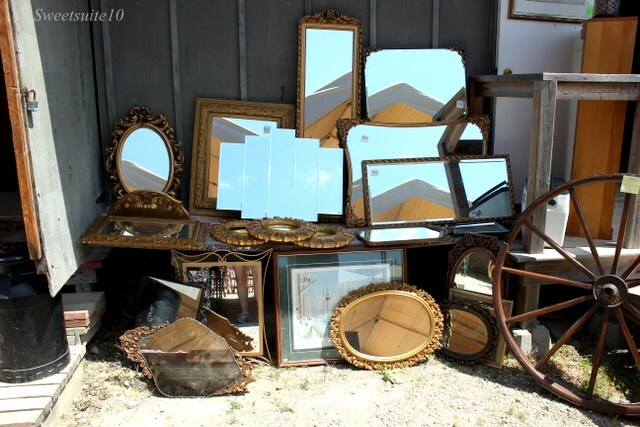 If you're looking for an old mirror, this may be the place for you - this was just at the back of one stall. 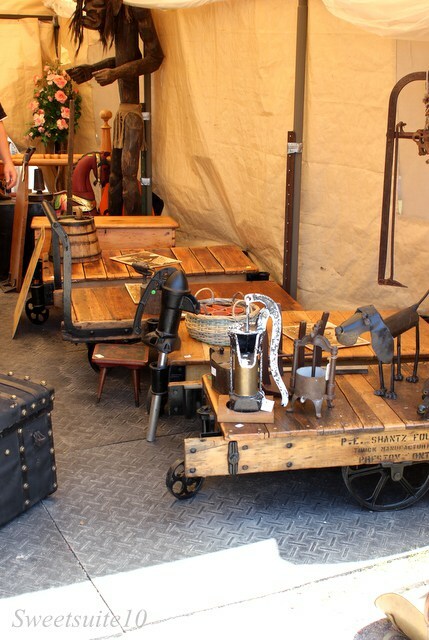 Old mine carts are rather popular - this vendor had several so you can pick the one that will make the best coffee table in your space. I'm not a collector, but I know lots of people love to collect Jadite. I was tempted by the mixing bowls, but I know I wouldn't use them (I'd be scared of breaking it) so it stayed on the table for someone else to take home. I was actually a little bit excited when I spotted the following as I recognised them. 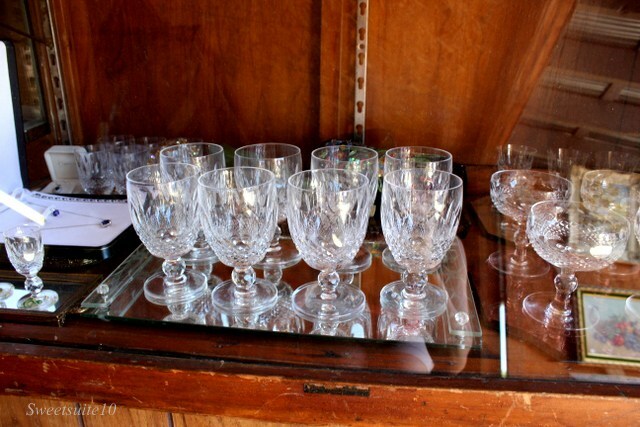 My Mom's Irish, so we had these Waterford crystal glasses when I was growing up (for special occasions only - when I was little I drank Welch's grape juice out of them, and pretended I was grown up and drinking wine). The pattern is called 'Colleen', and they were $40 each. I recognised the next characters as well from my childhood, but they were on TV. 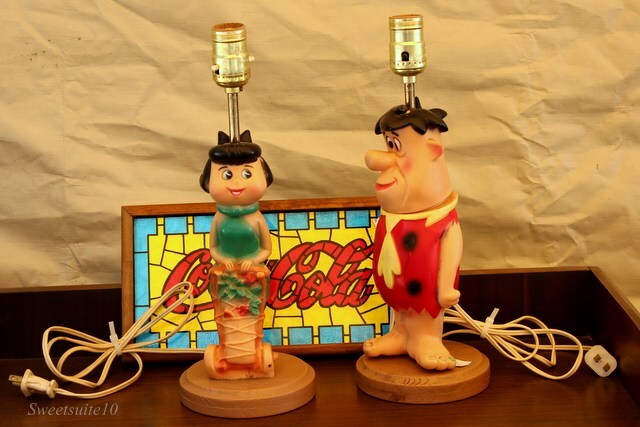 I wonder where Wilma and Barney are? 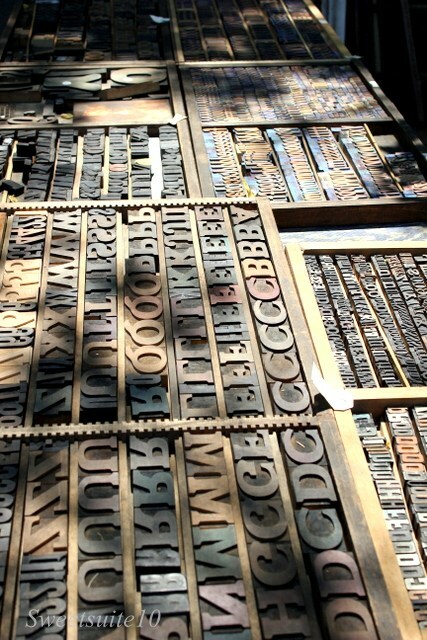 There are also lots of wood letterpress type letters. I know brass animals are a little popular right now - these two tempted me - especially after I realised both were hinged and you could hide things inside. 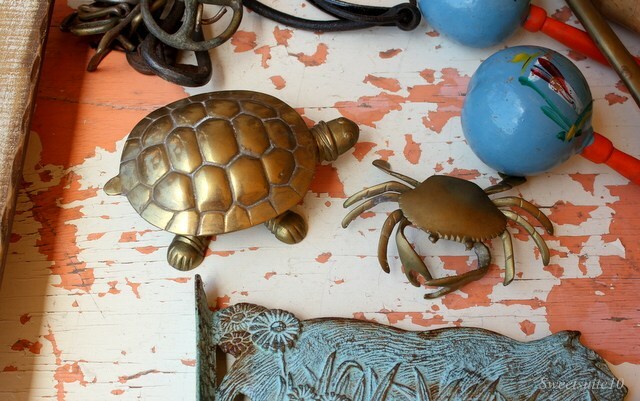 I believe the turtle was $20 and the crab was $18. Have an extra $650 burning a hole in your pocket? I have just the thing for you. 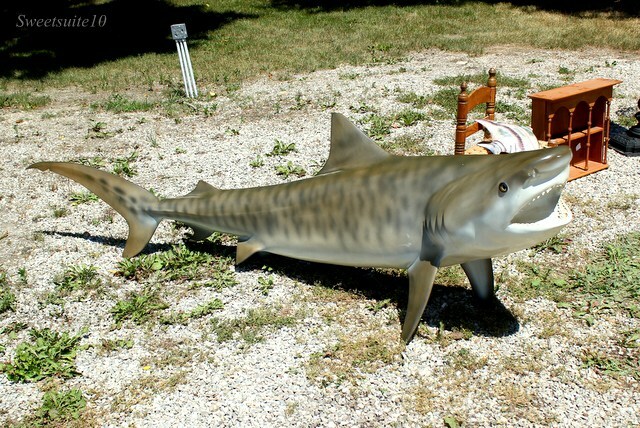 This fiberglass shark can be mounted on a wall, and come complete with real shark teeth. 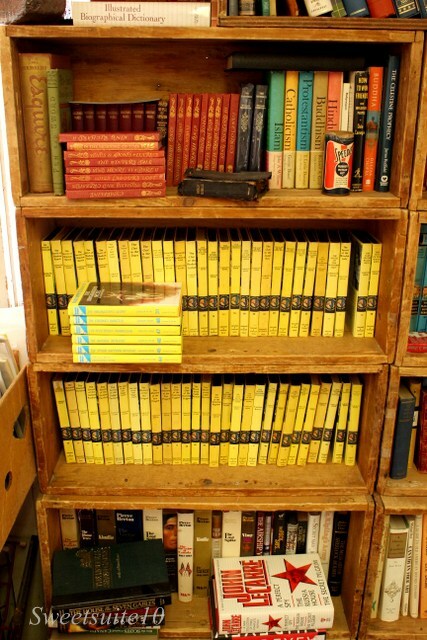 Old Nancy Drew and Hardy Boys books were plentiful, and made me regret even more selling my collection of Nancy Drew books in a garage sale when I was about 12. Street signs were everywhere, but I'm curious where they came from. 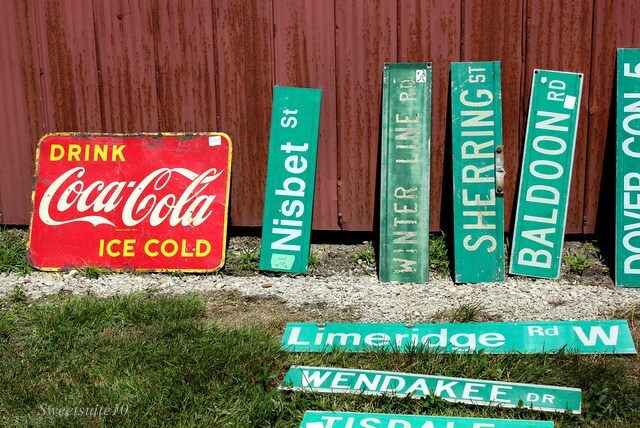 Do towns replace street signs, and sell off the old ones, or were these lifted off sign posts somewhere causing some poor traveler to become hopelessly lost? There was all sorts of things I didn't take pictures off - furniture, glassware, vintage clothing, lovely old mason jars, old coins, toys and cameras, and pretty much anything else you can think of. Have you ever been to Aberfoyle? Did you bring anything home with you? Oh my goodness I LOVE the Aberfoyle market! I've gone several times now... some of my buys include old antique doors and windows, 2 of those letterpress letters, a mini cannon and the rail cart. I could spend all day there! Glad you enjoyed yourself! 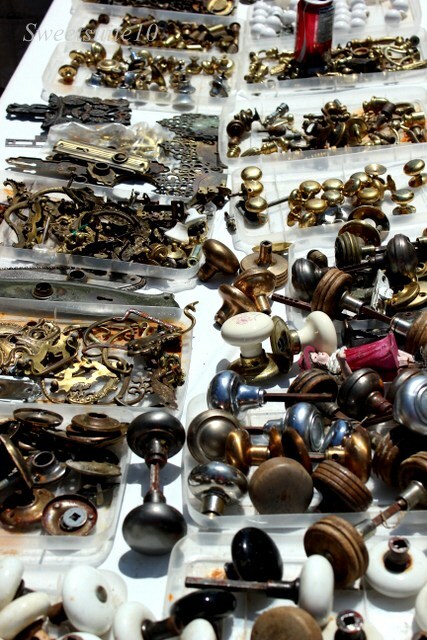 Since my style tends to lean toward the traditional, I've always kinda wanted to get into antiques. But... is it just me, or is everything so expensive? The brass animals are so cute though! I may not have been able to resist that little turtle! I should definitely make a trip to Aberfoyle one of these days... I've heard so much about it, but I've never actually been myself. It's not just you - I find antique markets and stores expensive, but they're only charging what they think/know they can get. I have been to Aberfoyle once and LOVED it! So much to see. I really need to go back. It's silly that I haven't been again, especially since it's not too far for me to travel to coming from Burlington. Must. Go. This. Summer.